If your children love animals, then they’ll love visiting these farms. Despite being a big city, Melbourne has a variety of family-friendly farms to visit – and many of them are very handy to the CBD. 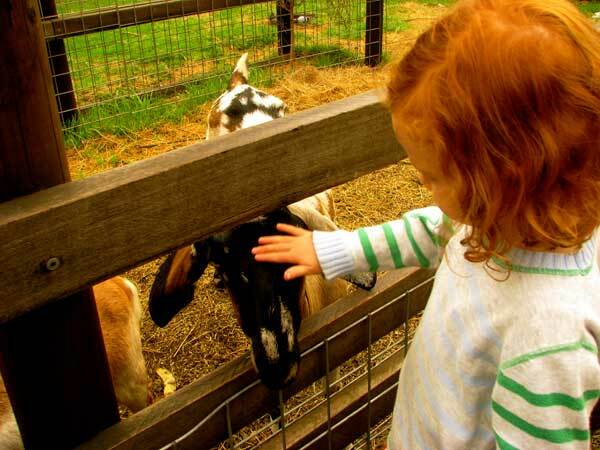 To get your children in touch with farm animals they can see up close and learn about – check out our list of great farms for kids in Melbourne. It’s been around for ages and for anyone down on the Mornington Peninsula, it’s a great way to let the kids cuddle up to some farm animals they’ll love. Don’t expect fancy. It’s simple farm fun. The things about kids and animals? They love to touch them. 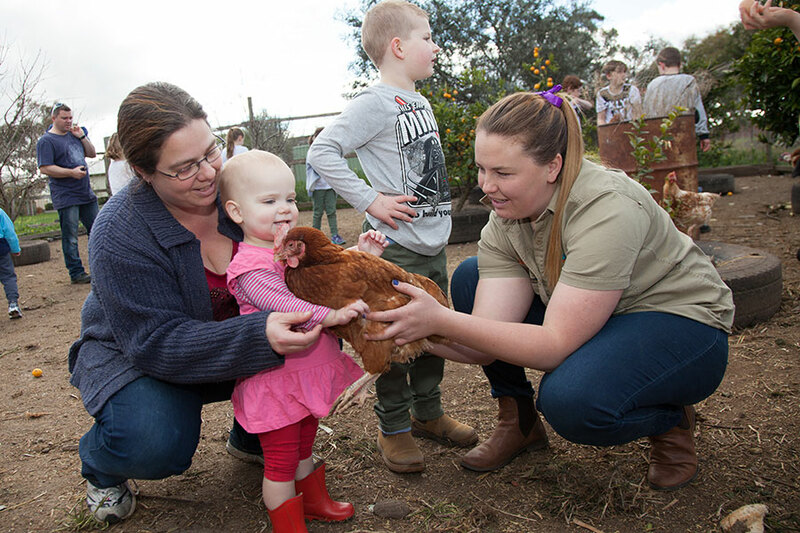 This children’s farm has been set up to let children do just that – with lots of hands-on ways your kids can interact with a wide range of creatures. Pony rides are always a winner and this ups the ante by giving kids a chance to milk a cow, collect eggs, cuddle baby animals and even take a tractor ride to feed all the animals on the property. No dogs allowed. You can bring your own food but there is also a café with barista-made coffee to make your visit even more enjoyable – perfect for chilly days. Unless you live near the City of Casey, in Melbourne’s south-east, you’ve probably never heard of this public community farm. It’s a fun day out for a family but, as far as farms go, it is an odd collection – with everything from alpacas to peacocks and native wildlife and reptiles on display too. 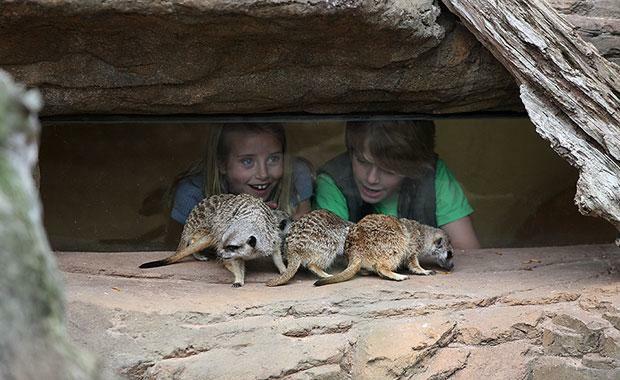 Still, that just makes even more animals for your kids to see.Their animal display centre means your kids can get hands-on with lambs, rabbits and guinea pigs – and more. The lovely location is alongside the Dandenong Creek, so the river gums, wetlands and bird life add a real ambience. This is a popular place for local school groups, so each display is set up in an educational way. For parents touring their kids through, sans teacher, you can impress your kids with your encyclopedia-like facts. If you’re looking for an out-of-doors alternative to the play centre, it’s also a nice location for birthday parties and functions. Toilets, picnic tables, gazebos and pony rides make this a very family-friendly place. There is a ‘no dogs’ rule at the farm between 8am and 6pm. If your family likes learning things together, check out the workshops on offer here regularly – with everything from bee-keeping to raising backyard chooks. School holidays also have a lot to offer to help keep boredom at bay. Gorillas, lions, elephants. Oh my! (It’s got monkeys and tigers and bears too!). Your kids will love seeing the animals here and it’s the sort of place you can visit regularly – for family picnics, doing school projects or just to enjoy a family walk around this garden setting. Just make sure you head into the Butterfly House. It’s always worth it. And if the weather outside is cool, it’s a handy way to warm up for a bit. If you’ve got toddler-aged kids, make sure you visit on a weekday when it’s not school holidays. 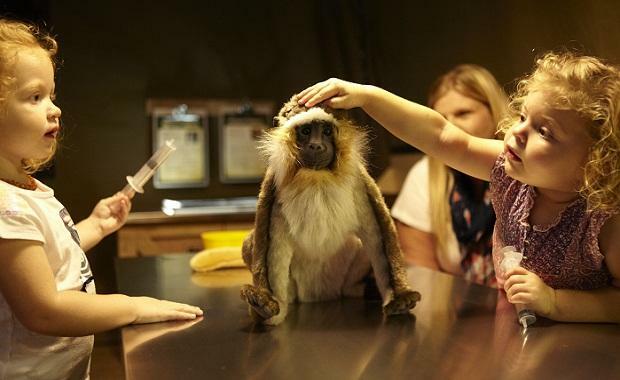 The activities are just made for the under-5 set – singing, dancing and even a kid-friendly safari to see the African animals this zoo is known for. In the African-style wetland, keep your eyes open for hippos look out for the eight lions on the nearby savannah too. There are lots of animals to see just from walking around but make sure you get the kids on the bus that tours you across the landscape here – and past the types of roaming animals that you usually see in a David Attenborough documentary. A farm right in the heart of Scoresby? Believe it! The history of this place stretches back to 1838 and the friendly farm animals keep kids coming back. It’s worth checking out what’s on during school holidays – sheep shearing is something city kids don’t usually see in real life, plus there’s the usual cow milking and baby animals patting. The venue also caters for events so if your child is obsessed with farm life, this could be a great choice for that next birthday party. BBQ hire is $5. Group bookings have the benefit of having a suitable area reserved at no extra charge. You’ll need to make a non-refundable deposit to secure your booking. Even driving there is a wonderful thing – it’s definitely a beautiful part of Victoria. The focus here is on Australian wildlife so expect to see busloads of international tourists all keen to get glimpses of our iconic native fauna. You’ll love them too – with dingos that get taken for walks throughout the grounds, koalas to get up close and personal with and the magnificent Birds of Prey show that happens in the main arena – and shouldn’t be missed. Want to milk a cow with your own hands? Heather doesn’t seem to mind. She’s an Ayrshire – a breed known for the good temperament, which is perfect for the little children who love this place that offers a real farm flavour so close to the city. Milking happens at 10am and 4pm each day so it’s worth plotting your visit and being patient to take your turn in the queue. If cows aren’t your kids’ favourite, there are also pigs, geese, ducks, chickens, horses, goats, a cat or two, peacocks and of course the guinea pigs that are happy to be cuddled as well. There are shady spots for picnics, plus there’s an on-site café. Even in wet weather, it’s a nice place to visit – just bring the gum boots! Collingwood Children’s Farm has always been a popular spot for children’s birthday parties and the popularity continues! If you’re planning a celebration for your child, make sure you book your spot months in advance – especially if the party is in the warmer months that is the peak season. There are lots of details on the comprehensive website to help you know all the important info about every aspect of the farm – leaving you the fun job of simply taking the kids along and creating some memories that will last a lifetime. Keep your eye out for school holiday program news. There is always something on and it’s also home to an annual Easter egg hunt and other special events throughout the year – as well as a regular Farmer’s Market. There is a car-park for farm visitors and it takes payment by cash or card. The fees are detailed on the farm’s website.